Smeg Blast Chiller is a highly sophisticated appliance that will quickly chill cooked food to either the perfect refrigerator or freezer temperature to minimise the risk of bacterial contamination and preserve the integrity of the food. With the Smeg blast chiller you can freeze and defrost, cook at low temperatures, prove dough for pizza, flawlessly temper chocolate and prepare incredibly fresh sorbets and ice cream. Smeg's innovative flat Blade Flame gas burners deliver a continuous ring of vertical flame to guarantee maximum heat transfer to the pot, reduce heat dispersion and increase efficiency by 20% compared to standard gas burners. The cooktops can be personalised too; with a choice of 4 artistic pan stand styles which can be purchased separately to complete the look - be it fruits, insects, leaves or birds. 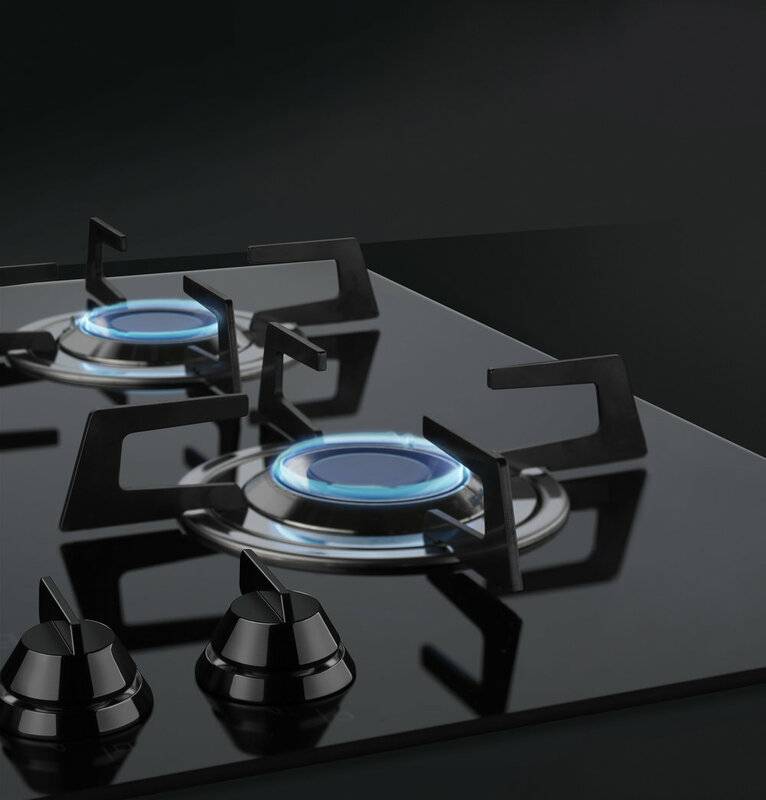 They are truly unlike any other gas cooktops on the market. Smeg’s Thermoseal Plus oven with steam assist takes home-cooking to a new level by delivering the same baking techniques as those used by professional chefs. The injection of steam into oven cooking ensures meats and fish are succulent and moist to deliver healthy and nutritious meals. Three levels of steam injection offer greater cooking versatility and results. Perfect when steaming, roasting or grilling, meat and fish remain succulent, pastry is crisp and bread is cooked with a golden crust. Customers will benefit from faster cooking times - typically 25% less than conventional cooking, significantly reducing energy consumption. The Dolce Stil Novo vacuum drawer impresses with its versatility in the kitchen. Ensuring perfect preservation of flavours, aromas and colours in food whilst maintaining freshness – it provides an effortless way to store and preserve food, or tenderise and marinate prior to sous –vide cooking. The perfect appliance to accompany the blast chiller, it seals food appropriately for storage in the fridge, freezer or pantry. Freshness is locked in and food waste is significantly reduced, saving both time and money. Inspired by wine culture and the importance of its preservation, Smeg has developed a new range of Dolce Stil Novo wine cellars, made entirely in Italy. Great design and attention to detail are the key traits of all Smeg appliances and wine coolers are no exception. In cooperation with expert sommeliers and using the latest technology and finest oak, Smeg cellars control temperature, humidity, UV protection and vibration to correctly store and age wine, so all that hard harvesting work doesn’t go to waste. Built by passionate craftsmen for lovers of food and design, we raise a glass to celebrate the new wine cellars.